AMC is one of the greatest networks in America. They've got legendary shows like Breaking Bad, Madmen and Anarchy setting new records on national television. Wait, we forgot about The Walking Dead, a smash hit that's been around for 6 seasons (7th is due October 2016). The most loyal fans all around the world have been with the zombies for six straight years, and that's more than enough time to feel like the characters from the show are your friends or even relatives. Andrew Lincoln, Jon Bernthal, Lauren Cohen - all these actors are global superstars. 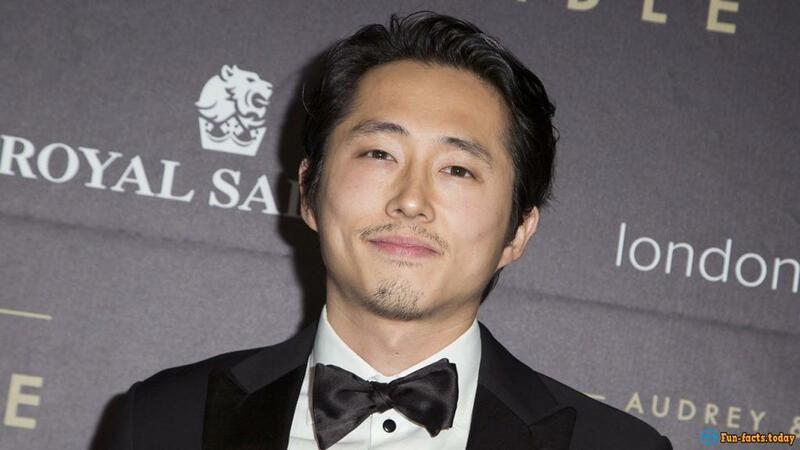 Steven Yeun, the man who plays the role of Glenn, might not look as scary as Rick or be the favorite of ladies like Darrel, but he sure does have a strong fan base - one of the biggest on the show, actually. Come on, he's a straight up guy, a true friend, a valuable member of the team. 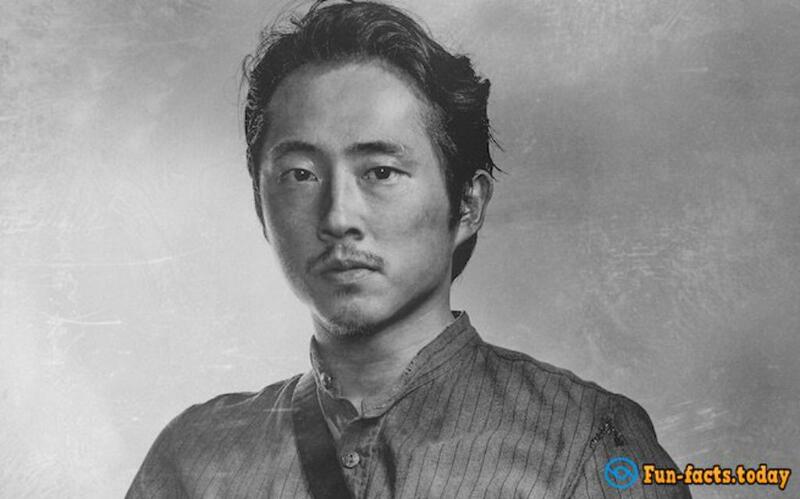 Alright, without further ado, let's check out some awesome facts about Steven Yeun - the face and the voice of Glenn. - First of all, he was born in 1983 Seoul, South Korea, not China, Japan or America. His birthday is December 21st. His real name - Yeun Sang-yapp. This is how you spell it in Korean: 연상엽. I know, looks like a random number of symbols :). - Steven grew up in Troy, a suburb in Detroit, Michigan. So, people who claim that he's got an American mentality might have a point after all. He moved to the States with his parents when he was just 5 years old. Currently he lives in LA, California, with his pet dog, Agnes. - He has a younger brother, Brian. 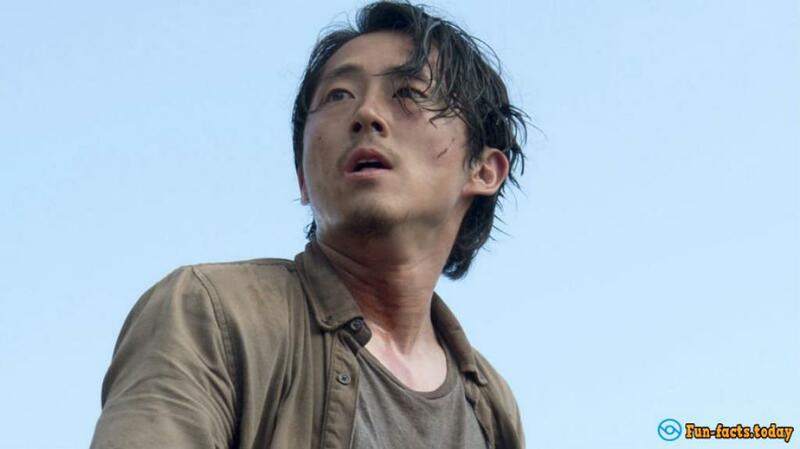 His parents are Je and June Yeun. They run 2 beauty accessory shops in Detroit. Not bad for a couple of immigrants, right? - Mr. and Mrs. Yeun wanted their son to become a doctor. However, when they learned that it wasn't his calling, they supported his choice and gave him a 2-year "trial period" to pursue his acting career. He them moved to Chicago with his brother Brian. If they didn't, we might never see him in TWD! - Brian co-owns a fusion restaurant in Koreatown, LA; Steven is an investor. Yep, you could call it a family business. - Mr. Yeun does speak some Korean, but he's not really fluent in it. He’s 5′ 9″ tall (that's 1.75 meters), likes to play the guitar and calls himself a fan of The Simpsons. - Last year he graduated from Kalamazoo College. What was his major? Psychology! And he got a Bachelor degree, too! - Steven says that he first thought about acting after he watched improv show at the college. He auditioned for a role, but failed. But, he did it again a year later, and they accepted him the second time. The show was called Monkapult, by the way. - Not a lot of people know that Yeun voice acted in the 2007 hit video-game Crysis and the follow-up, Crysis Warhead. He gave his voice to a Korean soldier. - In 2010 he got his first big acting role on TV. He portrayed Sebastian on CBS's Big Bang Theory. That same year he auditioned for the role of Glenn in TWD. 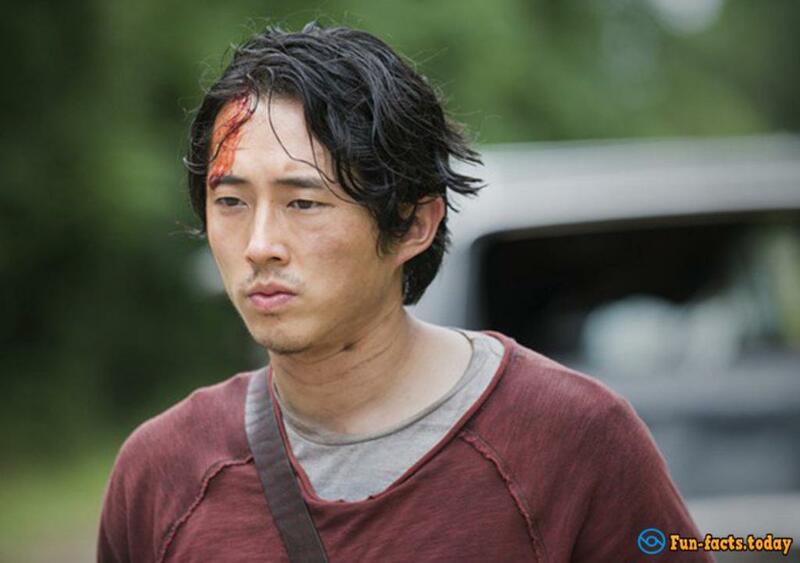 - Do you remember how Glenn was introduced in the first episode? He talked to sheriff Rick Grimes through a walkie-talkie when Rick was hiding from the zombies in a tank in Atlanta. - Steven has been busy and made an appearance in Warehouse 13, Law & Order: LA and other famous TV shows. - Thanks to his role in The Walking Dead, companies like Best Buy, Apple and Milky Way did a lot of commercials with him.